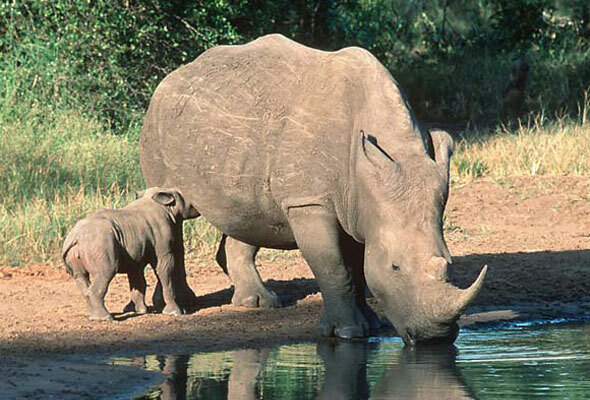 Ha Noi – The governments of South Africa and Vietnam today signed a landmark agreement that authorities hope will help quash the alarming scourge of rhino poaching that has been seen in the North West, Limpopo and Mpumalanga provinces. The release last month of the official rhino poaching figures for South Africa had sent shockwaves throughout the country and had environmentalist questioning whether authorities were winning the war against the crime. 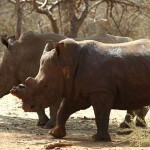 As of this week, a staggering 607 rhinos were poached in South Africa. 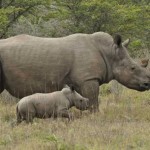 The latest figures show that the Kruger National Park has lost 364 rhinos to poaching, while KwaZulu-Natal, Limpopo and the North West provinces continue to be the hardest hit by poachers, collectively accounting for the loss of over 190 rhinos. 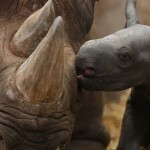 But as SAnews reports from the Vietnamese capital, the memorandum of understanding, signed by South Africa’s Environmental Affairs Minister Edna Molewa and her Vietnamese counterpart Cao Duc Phat, could signal the broadest step yet by the two governments to pull the plug on illegal rhino horn dealings. According to the World Wildlife Fund, more than 75% of the entire world’s rhino today are found in South Africa. Perhaps it is for this reason that officials and environmentalists alike have gone on an all-out campaign to save the precious animal. The illegal horn trade reportedly once revolved around markets in China, Taiwan, South Korea, Japan and Yemen, but now centres on Vietnam. Although many still see it through the lens of war, Vietnam is undoubtedly among the best when it comes to natural beauty, culture and diversity. It is Asia’s unexplored jewel. But regrettably, the country, situated south of China, is also home to many superstitions. These include an unfounded widespread belief that a rhino horn can help cure cancer and the sensational claim that it improves sexual performance. The belief has spread throughout the Asian nations, with Vietnam believed to be used as a transit point for these horns. Although a number of Vietnamese we spoke to on the streets of Ha Noi rubbished the belief that the horn could be used to cure cancer, others do actually think the horn could help alleviate all sorts of diseases and misfortunes. Others, like store owner, To Hao Chau, said while they didn’t know of anyone who had been cured or helped by the rhino horn, they would use it should a need arise. “I hear a lot of stories about it and I can’t say I can’t use it for anything should I feel the need,” said Hao. As our conversation continues, a group of youths could be heard chuckling at the subject, perhaps an indication of how popular this belief is in Vietnam. The bilateral agreement sealed today lists seven areas of cooperation in biodiversity and is not only limited to the issue of rhino poaching. But judging by the media interest the poaching crisis has generated and what has been coming out of Molewa’s department, the fight to save the horn will be central to the agreement. South Africa wants Vietnamese government officials at the highest level to commit to the fight by imposing strict punishments for poachers. “Having signed this memorandum of understanding with Vietnam today, we hope that the two countries will be able to tighten the regulatory framework so that any potential transit that can happen or could happen is actually curbed,” Molewa said. She said South Africa was looking forward to the cooperation, stressing that it was important authorities from both countries got involved to stop the illegal poaching and hunting. The agreement was the beginning of a relationship that will see Vietnam and South Africa deal with the rhino poaching problem. The minister also revealed in an interview that there were talks with scientists to get their views on the medical benefits of the rhino horn. Harvesting of the horn could be the next sensible thing to do. Molewa also maintained that her ministry would continue to allow legal hunting and that there was no ban being imposed on Vietnamese hunters. 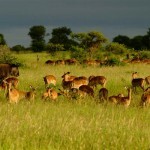 Figures in possession of SAnews show that in 2009, 85 hunting permits were received from Vietnamese nationals. The number rose to 91 in 2011 before a sudden decline to just eight permits this year. Molewa moved to explain this decline by saying this was due to processes that were in place to ensure that there was control over the rhino horns that were entering Asia. “This memorandum we are signing here is one of those processes. There is absolutely no ban being imposed on Vietnam,” she said. The hunting industry contributes about R2.3 billion to South Africa’s GDP. The government hopes recent amendments to the Biodiversity Act will help manage the hunting business, which is said to be creating hundreds of jobs in rural areas. The amendments make it illegal for people to hunt without the supervision of a conservation officer. “Any hunting that does not abide by this regulation is deemed illegal. We realised that there were gaps in the law and we have closed those gaps,” added Molewa. Reports accusing some senior Vietnamese government officials of being involved in the illegal rhino dealings were also laid to rest, with ministers on Monday coming out in full condemnation of all poaching. To further demonstrate its pledge to curb illegal rhino killings, the Vietnamese government, says Minister Cao Duc Phat, had increased its resources to security agencies fighting the crime. Cao Duc Phat labels the criticism that his department and government in general had been soft on poachers as both unfair and unfounded. “So far, Vietnam has made strong commitments to tackle the illegal use of rhino horns and we will increase our commitment. With the signing of the memorandum, the two sides will sit together and draw a very detailed plan to address this problem. Hacong Tuan, the Deputy Minister of Agriculture and Rural Development in Vietnam, even hinted at the possibility of a plan to ban the import of rhino horn hunting trophies. About 150 rhino horn hunting trophies, Hacong said, had entered Vietnam legally. He admitted though that there could be many rhino horns entering the country without the knowledge of authorities.